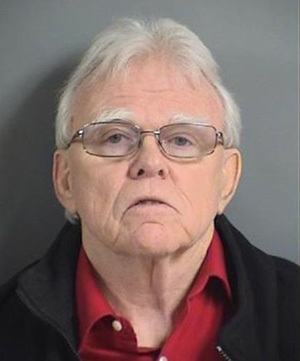 MARCH 21--An elderly Iowa therapist who had a yearlong sexual relationship with a female patient billed the victim for his services, investigators allege. Charles Morris Adams, 76, was busted Friday on a felony sexual exploitation charge. 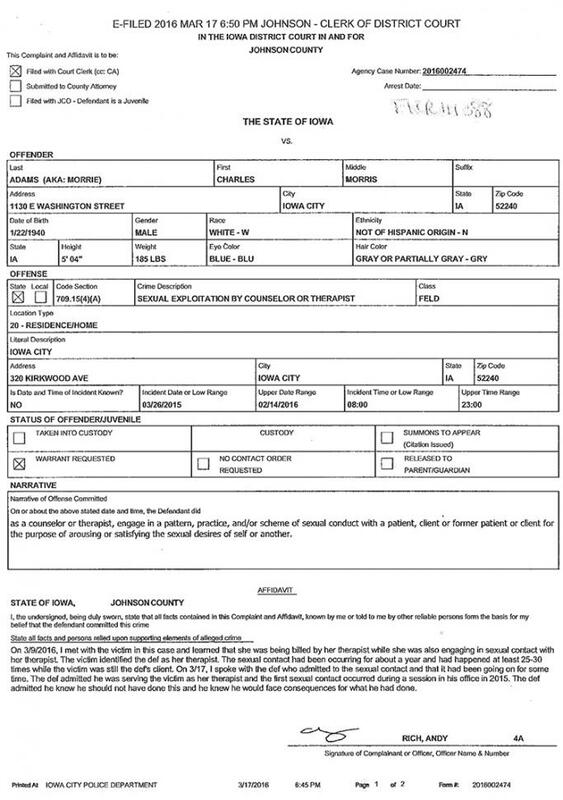 Adams, a family counselor based in Iowa City, reportedly confessed when confronted by police. According to a criminal complaint, the victim told cops that her “sexual contact” with Adams “had been occurring for about a year and had happened at least 25-30 times” while she was his patient. 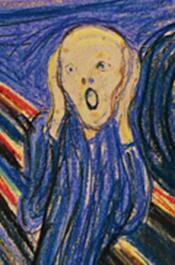 The woman “was being billed by her therapist while she was also engaging in sexual contact” with him. Adams, seen in the above mug shot, “admitted he knew he should not have done this and he knew he would face consequences for what he had done,” the complaint states. 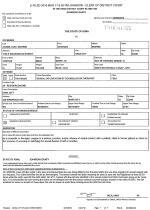 According to Iowa Department of Public Health records, Adams was first licensed as an independent social worker more than 30 years ago. But his license expired at the end of 2014. Adams is a partner in Adams & Baumbach Associates, a small mental health care practice.